The sky outside may not look like the above picture outside right now,…but the sun did come out earlier this week. Jim Y. and I took a quick trip down the Mckenzie and on to the Willy. I wanted to do some “recon” of the winter high water levels had on the river. What we found was not surprising. First, there were no obstructions at 3.9 feet (Harrisburg Gauge). Second, a few new gravel bars have appeared and will possibly improve the fishing in some locations. The cubic feet per second at Harrisburg during the winter flows, was anywhere from 38,000 to 40,000 CPS for days on end. Today, a softer, kinder, flow of 3,800 CPS was much appreciated. However, a storm is brewing and perhaps another week of high flows? Ugh! I took a quick couple of water temps and the water was 49 degrees. The Middle Fork was pushing in the usual amount of discoloration. Lastly, the fishing! Ok, it wasn’t full flame on, white hot, mad dog crazy, or hatch crazy, but it was fair. The strangest deal was few March Browns and mega hatches of Caddis! We did manage a couple of nice fish on a CDC Caddis Emerger. With some occasional rises, we tried sub surface and it paid off with a couple of nice fish. 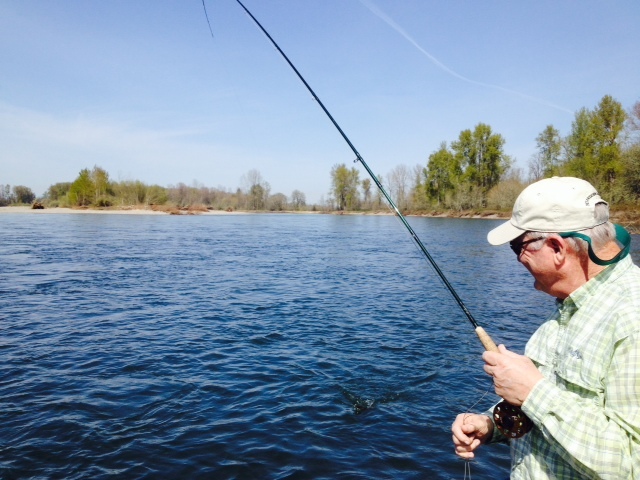 One thing about the Willamette, nothing is for certain and we should always use caution while on the river. Safety is the key to any trip on the water. Let’s stay safe!! 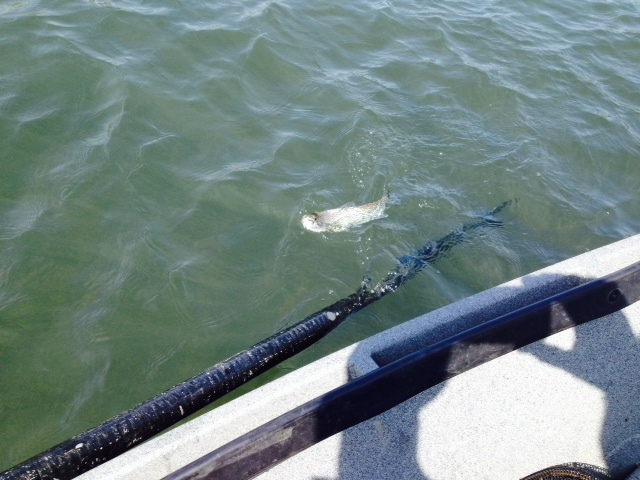 Spring has sprung and its time to get outside and enjoy the great outdoors and maybe, just maybe, a few more fish! 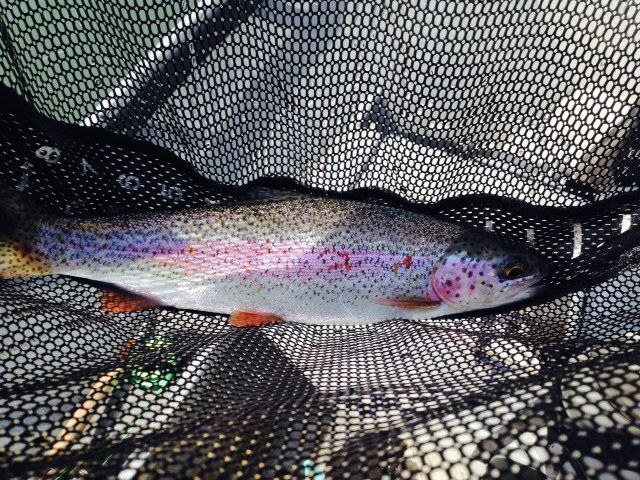 This entry was posted in Fishing Reports, Lower Willamette. Bookmark the permalink. The Willy allways makes me thankful for the Mac,……LOL.